“Only 25% of blood cholesterol is actually ingested as dietary cholesterol. The other 75% is produced in the liver and, once linked with carrier proteins known as lipoproteins, flows throughout the body in the bloodstream along with dietary cholesterol. 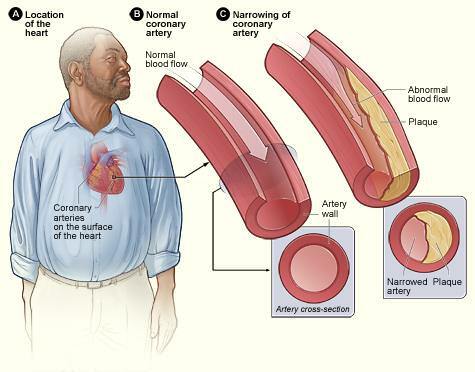 Too much cholesterol, however, has a tendency to build up in the arteries as plaque, slowing or blocking blood flow. The buildup of plaque can occur throughout the body’s arteries, but it’s most evident when it occurs in the coronary arteries, not allowing enough blood to get to the heart. This can lead to heart disease, the greatest long-term risk of high cholesterol.